Summit Heating & AC Inc.
Sanders and Johnson was founded in 1977. Sanders and Johnson is one of the few companies in Denver that are still run by their founders. Jim and Dan have been working for several decades, providing people around the city heating and air-conditioning services. 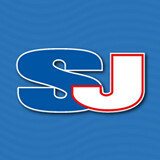 What’s best about Sanders and Johnson is that the experts don’t charge a dime for estimating heating or cooling needs. Dan Johnson and Jim Sanders believe in customer oriented services, which is why they make sure to not only provide a heating and cooling solution but also get the job done. Sanders and Johnson are also listed on the BBB website and proud themselves for being a part of their customer care network. Cooper Heating, Cooling, Plumbing and Electrical, Colorado family owned, operated and trusted HVAC since 1978. #1 provider of Xcel Energy Rebates on Furnaces and Air Conditioning for the past five years! Awarded a perfect quality installation score in 2016, we offer peace of mind and service 24 hours a day, 7 days a week, 365 days a year. Choose someone you can trust, choose Cooper. Vent Masters is Colorados source for quiet, energy efficient whole house fans. Not your Grandpa's house fan, with the big noisy propeller over your head, these modern fans are the next generation of whole house fans. With insulated dampers that close when the fan is turned off, these new whole house fans make other styles seem old fashioned. Vent Masters also specializes in attic ventilation. Most homes do not have enough attic ventilation and upgrading the ventilation not only lets your home be less hot but it cuts down on the load on the air-conditioning. Both roof vents and soffit vents are needed. Roof vents let out the hot air but the air cannot get out unless it is replaced by cool air from the soffit vents, it is like sucking on a pop bottle compared to sucking on a straw. Come by our showroom so you can see and hear for yourself. We are fully stocked with QuietCool whole house fans for the home handyman or the professional installer. We have the QuietCool Trident fans in stock for retail sales! Rbm-Hvac is a Denver based HVAC repair & installation contractors who provide complete service solutions in Heating & Cooling, Air Conditioner (AC), Furnace, Boiler. We are also known experts in Air furnace, Hot Water Boiler, Central Humidifier, Electronic Air Cleaner, Air Conditioner, Domestic Water Heater service and maintenance contractors in Aurora & Parker, Denver, Colorado. Apple Aire Inc., a trusted Denver HVAC expert since 1988. Family-owned, experienced and reliable, we service the entire Denver metro area - including Evergreen, Highlands Ranch, Littleton, Wheatridge and Lakewood. We pride ourselves on quality furnace and air conditioning installations plus other home comfort solutions. Boiler service available also. Check out our coupons, our reviews and our website, then give us a call! 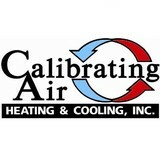 Locally-owned and family operated HVAC company providing heating and air conditioning services to Denver area homeowners. 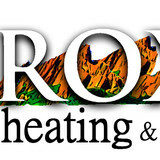 Colorado Gold Heating and Air Conditioning has provided residential and small business customers with quality service, repair and installation of heating and air conditioning equipment since 1984 — and many Colorado Gold customers have been with us for decades! We are licensed and insured and service all major brands of equipment. 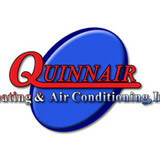 We service, repair and install HVAC systems, Heating and Air Conditioning units, and much more! Smith & Willis is a locally owned heating and air conditioning contractor that knows the needs of the Colorado climate. We are able to recommend the best options for your indoor comfort specific to your home. Each of our technicians is highly trained. Our promise is small business customer service with large business results. Each service is clearly explained and no add ons or surprise charges will be found on your bill. We love Colorado and we love our customers. Choose Smith & Willis to be your indoor comfort experts. What do HVAC contractors do? “HVAC” stands for “heating, ventilation and air conditioning.” An HVAC technician or contractor specializes in heating systems, air duct cleaning and repairs, insulation and air conditioning for your Highlands Ranch, CO home and other homes. Generally, Highlands Ranch HVAC contractors or HVAC technicians work with or run companies that repair or install heating systems and air conditioning units for homes. But they have specialized services too. For example, if you are a wine collector and you are thinking of installing a wine cellar in your Highlands Ranch, CO home, you might hire a Colorado HVAC professional who specializes in refrigeration work. HVAC professionals can use their skills to help you to save money on your Highlands Ranch, CO home’s energy bills by installing radiant barriers in your attic or split-zone heating and cooling systems to heat rooms like solariums while cooling upstairs bedrooms during warmer temperatures. Find HVAC contractors on Houzz. Look in the Professionals section of our website and search for Colorado HVAC contractors. Read reviews and see how an HVAC contractor might approach your Highlands Ranch, CO home’s heating and cooling challenges.